Doing our regular 0.05A test we use for the 9V Alkaline and 8.4V NiMH batteries we got 338 mAh out of the rated as 400 mAh Znter battery, a really good result compared to 8.4V NiMHs we have tested so far. That result is also on par with an average performing 9V alkaline battery, but the Znter can be recharged and reused via a standard USB, so it is much more convenient. Things however get even more interesting when we look at the voltage curve during the discharge tests as it is essentially flat up until the end of the available capacity and we do not normally see this with NiMH or Alkaline batteries, it is the expected behavior for power banks however. The pretty stable at 9.51V output during the whole discharge test means much higher capacity in Wh compared to traditional batteries with the same mAh results where the voltage is dropping during the cycle. As a result we can say that we are quite happy with this particular product from Znter and it can be a really good alternative to traditional 9V Alkaline and 8.4V NiMH batteries. We were looking for something interesting to test and stumbled onto the Znter 18650 LiPo batteries on Hobbyking’s website, so we have decide to give them a go and see if this alternative to 18650 Li-Ion battery cells. The Znter ZNT18650 is a lower capacity cell, but comes with an on-board micro USB port for directly charging the battery with a regular USB cable. 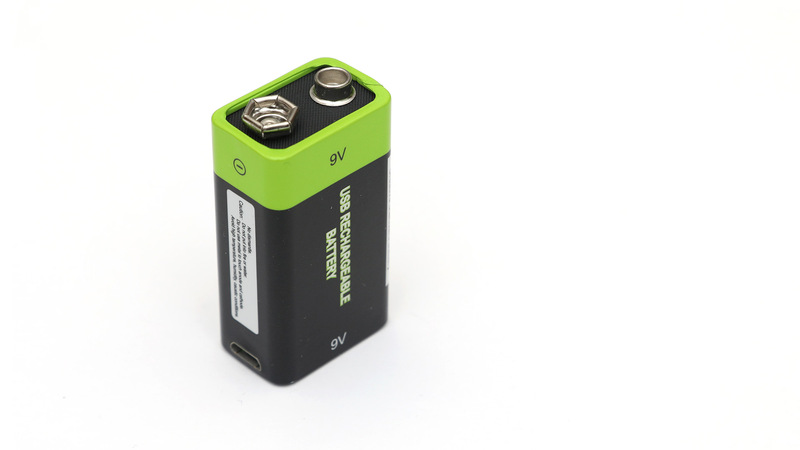 We have ordered one of these Znter ZNT18650 1600 mAh batteries, but what we have received had left an unpleasant taste in or mouths and it is the reason why we would just recommend that you stay away from these. Instead of the 1600 mAh capacity that we have ordered we got a cell that was market with 1500 mAh capacity and on top of that it was not charging (the indicator light was blinking when USB charging cable is connected). Expecting a dead battery cell we have decided to open up the battery and at least see how it is made and to confirm that the LiPo cell is indeed at very low voltage, so that the charging electronics is not able to charge it. Our suspicions were confirmed, the LiPo cell was indeed with a voltage close to zero, but what we did not like even further about this product is the implementation. 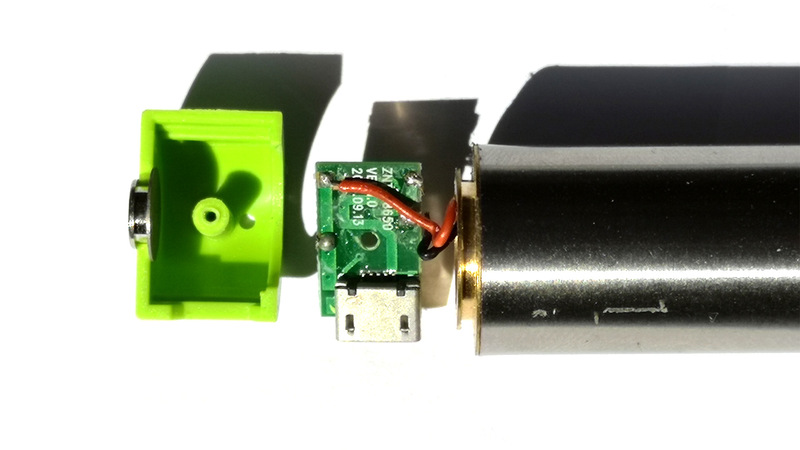 The LiPo cell is a round one enclosed in a metal casing with the charging electronics on top, however the board has to small solder joints with a little piece of cable sticking out that is essentially making contact by touching the plus and minus terminals of the battery. You can forget about using this battery with high discharge currents, that is if you manage to actually get a working one. 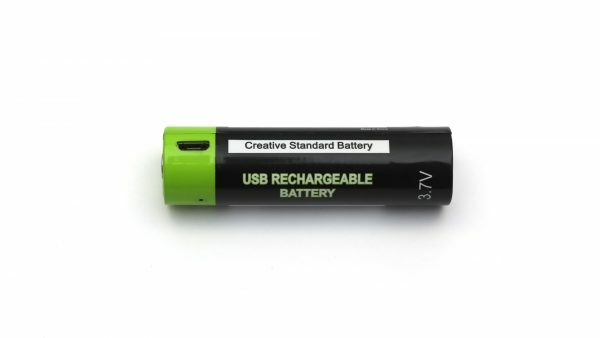 Again to tell that you should just avoid this product as you might get a dead one and even if it is working it is not that well made to make it as a decent alternative to 18650 LiIon batteries for use with higher discharge currents.